Be invited into a wealth of calm and stylish surety with the contemporary Mossimo Outdoor Side Table, shown here in dramatic black. 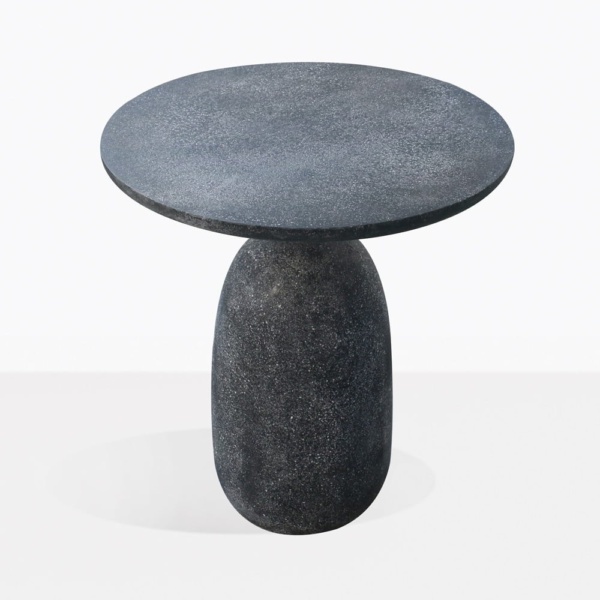 The solidity of style makes a welcome feature in any outdoor space with this Mossimo Concrete Table. Allowing you to finish off your seating area with aplomb, the Mossimo Side Table is the perfect place to set your drinks, platters and more! Designed impeccably, the Mossimo Outdoor Side Table in black is robust, chic and stylish, formed on a chunky, curved base which is accented with powder coated black aluminium and finished off with the rounded concrete table top in concrete composite… the look is effortlessly stylish and incredibly versatile. This is the sort of table that can be positioned anywhere for that added panache! Situate the Mossimo Outdoor Concrete on your deck around your low club chairs. Light up the outdoor heater, bring in a couple of glasses of your finest merlot and breathe freely with the company of your best guests! Put a Mossimo Black Side Table on each end of your 3 seater sofa and enjoy the brilliant addition of modern style. 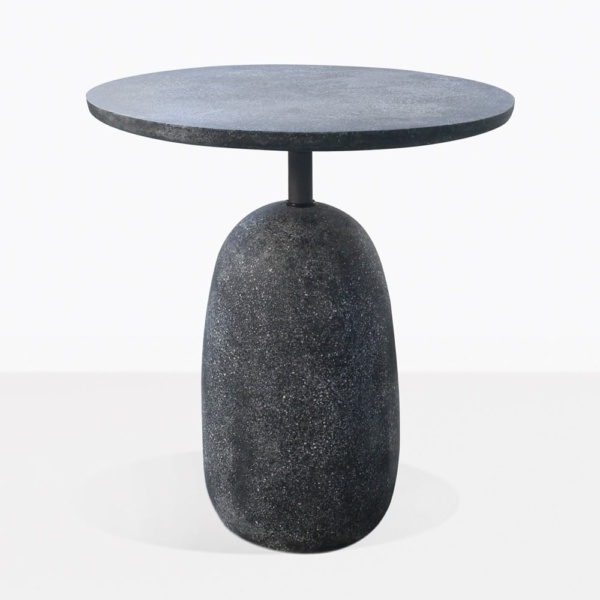 This beautiful Mossimo Table is perfect for indoors or out! Place next to a plush sofa or settee and enjoy the gorgeous edge to this dramatic table. Design Warehouse’s Mossimo Side Tables are available in both stunning black and soft grey and is built from concrete, fibre-glass and resin composite which ensures a lighter weight, stronger product, and superb look. The featured powder coated aluminium stand makes this piece look airier, as well as being a top quality product for use outdoors! Design Warehouse is the premier supplied of luxurious outdoor furniture. 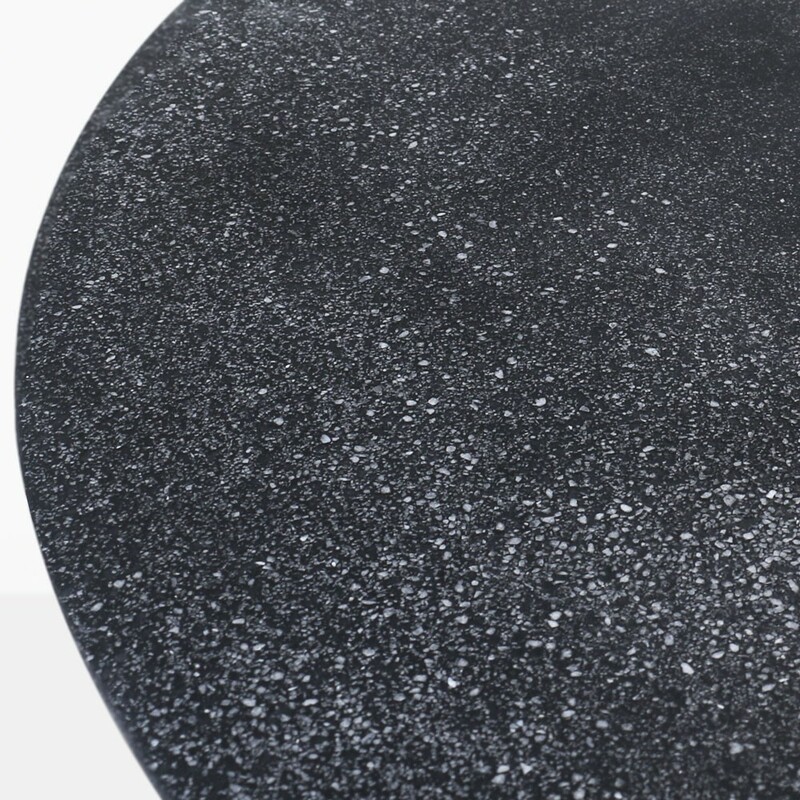 We have a huge array of styles, designs, materials and sizes to suit your space and taste! Our Mossimo Outdoor Side Table in sleek black is a beautiful choice for your home. Call us today to order yours!